According to Rob Rossi of the Pittsburgh Tribune-Review, the Pittsburgh Penguins are putting an offer to the Vancouver Canucks to acquire power forward Ryan Kesler. It was previously rumored that the Penguins were interested in kesler but now Rossi has gone as far has saying an offer is on the table to pry Ryan Kesler to the Penguins. 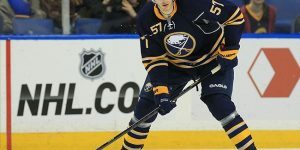 Rossi is also reporting many social media sources are also reporting an offer has been made by general manager Ray Shero. Today’s game against the Senators may prove to be the final decision maker for Vancouver’s general manager Mike Gillis on whether he will keep Kesler or not. Kesler and his agent have denied the trade requests and the rumors earlier this week. 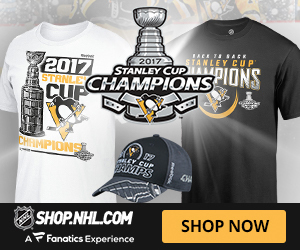 According to Rossi, he stated: “A proposed deal would send Kesler to the Penguins in exchange for Brandon Sutter, two 2014 draft picks — likely a first- and third-round — and the Canucks’ choice of defensemen Simon Despres or Brian Dumoulin,” He also mentioned that a Kesler deal could also involve another Vancouver Canucks player but the main component of the trade would be Ryan Kesler. According to DLC.com, the Montreal Canadiens had scouts Scott Mellanby and Ethan Moreau attending the Kings game on Saturday against the Carolina Hurricanes. Although the Habs are playing Los Angeles on Monday, there has been rumors and speculations that the Kings and general manager Dean Lombardi are highly interested in acquiring pending unrestricted free agent Andrei Markov. Rumors are going as far as saying that general manager Marc Bergevin and Lombardi have been in negotiations for some time. Markov who is looking for a long term deal of three to four years with a six million dollars per season salary has been negotiating through his newly acquired agent and former Montreal Canadiens Sergei Berezin. Rumors died down last week when progress was made and the Montreal Canadiens added a second year to the offer previously made. 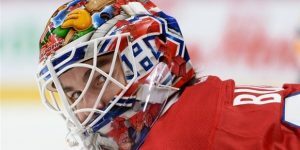 Markov has stated publicly that he wants to stay in Montreal. Players of interests for Montreal who have been mentioned in the trade rumors are: Tyler Toffoli, Kyle Clifford, Trevor Lewis, Jake Muzzin, and Tanner Pearson. Add to this list a first round pick for 2015. In a separate move, the Montreal canadiens have placed defenseman Davis drewiske on waivers today and if he remains unclaimed could be heading down to the AHL farm team affiliate the Hamilton Bulldogs. The Canadiens acquired Drewiske from the Kings, prior to the 2013 trade deadline, in exchange for a fifth round pick. 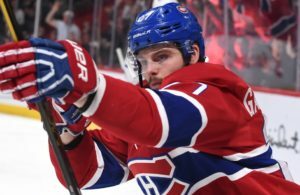 Drewiske only played 9 games for the Canadiens and did not play in any of Montreal’s playoff games last year against the Senators. This move could be seen as making some room on the slary cap and prepare the grounds for a bigger move by Bergevin. Is Chris Phillips extending his career as a Senator? Not sure veteran defenseman Chris Phillips will remain a Senator until the end of his career. According to TSN NHL Insider, Darren Dreger, the Senators and Phillips have not agreed to a deal extension. 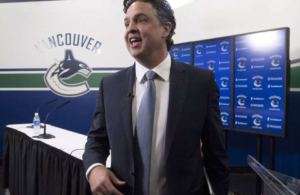 Both sides are negotiating and would like to get a deal prior to Wednesday’s trade deadline. 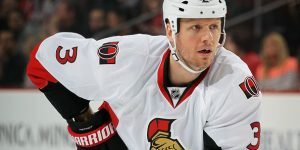 Phillips who has played his entire career with the Ottawa Senators is looking for a two-year extension while the Senators would like to sign him for another year and go year by year. The 35 years-old defenseman is on the last year of a three-year term worth $9.25 million dollars. 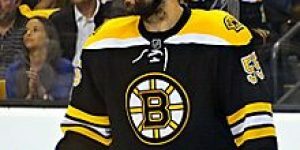 Phillips is creating interests for some team looking for depth in defense and the Boston Bruins have apparently shown interest and inquired about his services. The Bruins are looking to have a defenseman capable of filling the minutes injured Dennis Seidenberg was logging. This year Phillips has 1 goal and 12 assists for 13 point in 50 games. he is also a minus -8 for the Sens. 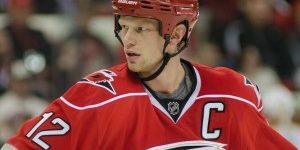 With Girardi signed, what about Callahan? When the New York Rangers signed defenseman Dan Girardi last week to a six-year, six million dollars deal they managed to keep one of their important piece in preparation for the upcoming stretch and a possible playoff run this year. Now that Girardi is secured long term, what about captain Ryan Callahan? According to Larry Brooks from the New York Post, the Rangers and Ryan Callahan are still far apart in their negotiations. Callahan is looking at a six to seven year deal worth 7 million dollars per season. And the Rangers are not willing yet to give him that kind of money. Callahan has been rumored to head to St-Louis prior to the Olympics but one team to look at acquiring Ryan callahan is the Columbus Blue Jackets. 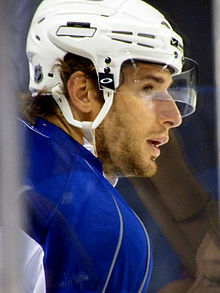 They are definetely buyers heading into the trade deadline and would love to put callahan in their roster. The two teams traded at the deadline last year in a blockbuster deal that sent Rick Nash to New York and Marian Gaborik to Columbus. Martin Brodeur may have played his last game yesterday as a New Jersey Devils when he stomped the Islanders 6-1 in afternoon game. Sources revealed that martin brodeur has now lifted his no-trade-clause and could be dealt to a team looking for help in net. Some are even saying Brodeur could be dealt today. 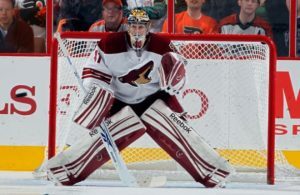 Teams that are interested in Brodeur are: Chicago Blackhawks, the Washington Capitals, and the Minnesota Wild.